The HP Omen X Emperium is one of the show stealers at this CES 2019 by giving a peek of its raw visual and audio power. 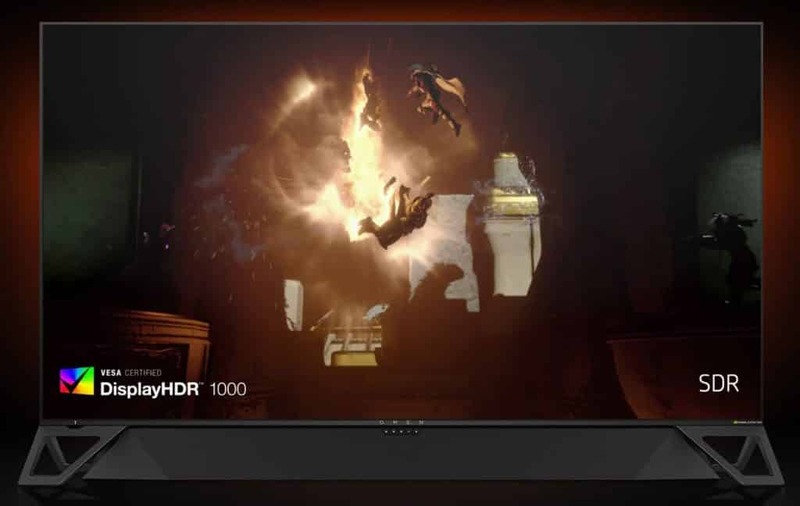 This model is one of the Nvidia BFGDs or Big Format Gaming Displays that were announced last year as fully geared alternatives to your run-off the mill TV. 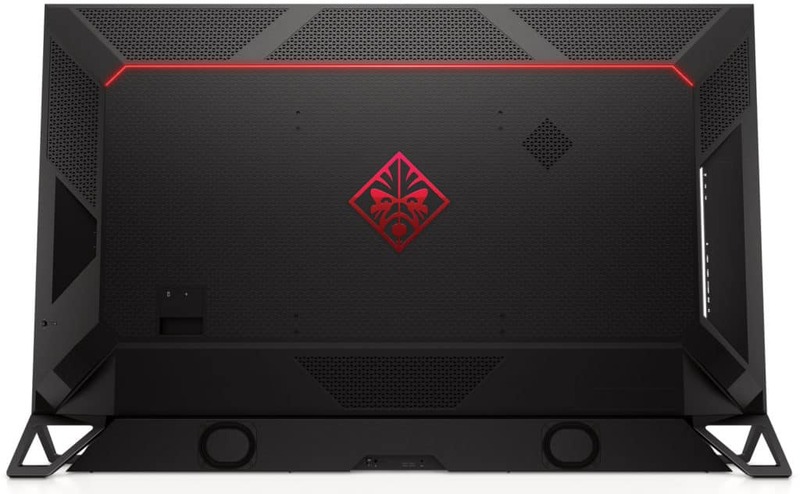 The HP Omen X Emperium will launch with a five-grand price tag which gives us mixed feelings about its success in the market, but we’re also dying to get our hands on it. he HP Omen X Emperium looks like your regular TV until you notice the Omen branding and of course, the blazing hot features. The massive display is unimpeded with bezels, save for minimal panel borders which are part and parcel of VA screens. The devices come in matte black all throughout, save for red Omen accents and the gunmetal stands that support its massiveness. We can’t describe the HP Omen X Emperium as reasonably sized since it is a 65-inch monster that should hang on a living room wall. The device weighs in at almost 80lbs which is a little less than twice that of the LG C8 OLED TV we reviewed earlier. If wall mounting isn’t an option, make sure you have a surface that’s ready to accommodate almost five feet of width and more than a foot of depth. But the HP Omen X Emperium is perfect that way since its more of an all-in-one solution for your gaming systems rather than your desktop PC. These kinds of products were conceptualized for couch gamers who own powerful computers while having 4K HDR consoles like the Xbox One X on the side. This product is also a statement by the manufacturers that your LCD or OLED TV will never be as good as a gaming monitor. One of the most intriguing parts of the HP Omen X Emperium is the soundbar that protrudes under the bottom bezel. The combination of four 4-inch woofers and a pair of 1-inch twitters sound amazing for built-ins, although you will need a sub for larger rooms. There are dedicated controls on the front for easy access to volume and the like. The HP Omen X Emperium is equipped to handle all of your home theater devices with its diverse I/O layout. The panel includes DisplayPort 1.4 for your PC and triple HDMI 2.0 slots for your 4K HDR consoles and a Bluray player. There is also an HDMI ARC connector along with an Optical Out and 3.5mm Jack for audio. You will also find a 400 x 400 bolt pattern for VESA mounts at the center of the rear bulge if in case wall mounting is your primary choice. It’s interesting to note that the I/O board has a motion-activated LED strip which lights up when your hand reaches for the ports. The majority of the rear chassis has an RGB strip for lighting effects which can also double as a bias light for comfort. The OSD is accessed via a joystick button at the rear or the included Nvidia Shield Remote. Of course, the latter is preferred for setups like this since you don’t have to reach behind the massive chassis or stand up. HP mentioned that the Shield Remote would only ship with limited packages so you might need to spend extra if you buy late. It’s also notable that the HP Omen X Emperium, like the rest of FALD-equipped monitors, require extra cooling features. There is a built-in fan which you can hear if you stick your ear to the rear of the display or when no sound is playing on the speakers. It’s not audible when gaming or when you’re sitting in front of the HP Omen X Emperium, so it won’t be an issue. The HP Omen X Emperium boasts a 65-inch VA panel with a 3840 x 2160 resolution, and a 120Hz refresh rate which you can overclock to 144Hz. The module has a standard 4ms response time spec, but its contrast is rated to reach 4000:1 for excellent depth. The display also has a 500 cd/m2 to 1000cd/m2 backlight which enables DisplayHDR 1000 performance for improved visuals and range. One thing that suffers on the HP Omen X Emperium is its pixel density which is reduced to 67.8 PPI. This does not bode well for users who want to sit up close since the screen will look grainy. However, that’s ok since it isn’t recommended to sit less than five or six feet away from a display of this size for safety reasons. The HP Omen X Emperium is worth its premium price if you base its value on its imaging performance. The panel reaches 90% of the DCI-P3 standard with an excellent accuracy score of DeltaE 1.20 using the Vivid preset. If that’s too rich, you can switch to the monitor’s Cinema preset which will lock down the gamut to 100% sRGB. The backlight on the HP Omen X Emperium reaches an impressive 570cd/m2 for SDR content. It can pulse up to 1090cd/m2 for HDR content. Contrast exceeds the brand’s specifications and reaches as much as 4250:1 for deep blacks and excellent grayscale performance. The HP Omen X Emperium doesn’t require colorimeters to maximize its image. It’s gamma tracks the ideal 2.2 perfectly by default, so the only setting you need to touch is the brightness. We recommend turning it down to something in between 30 to 50 so the backlight sits at 200cd/m2 for regular use. One thing the HP Omen X Emperium was not able to perfect is its panel uniformity. Deviations across the quadrants reached as much as 12%, so color flaws can become noticeable if you look close enough. However, we think its forgivable since the screen is expansive and the backlight used doesn’t function like your typical WLED array. The HP Omen X Emperium handles motion extremely well for a VA panel. Blurring and ghosting are kept at a minimum and is comparable to the 4K 144Hz IPS we’ve seen. There are no blur reduction features such as ULMB, but frankly, its useless in this case since the display is responsive enough. This gaming monitor is also equipped with Nvidia’s G-Sync HDR feature which is why we recommend their most potent RTX cards in SLI. 4K 144Hz is nearly impossible to maximize for most setups, so you need to have an equally impressive rig to use with this monster. It’s also impressive that the HP Omen X Emperium managed to match the Asus PG27UQ in input lag which sits at 8ms. Fast-paced HDR games like BFV or Anthem feel natural and smooth and there are no “de-synced” instances to worry about. 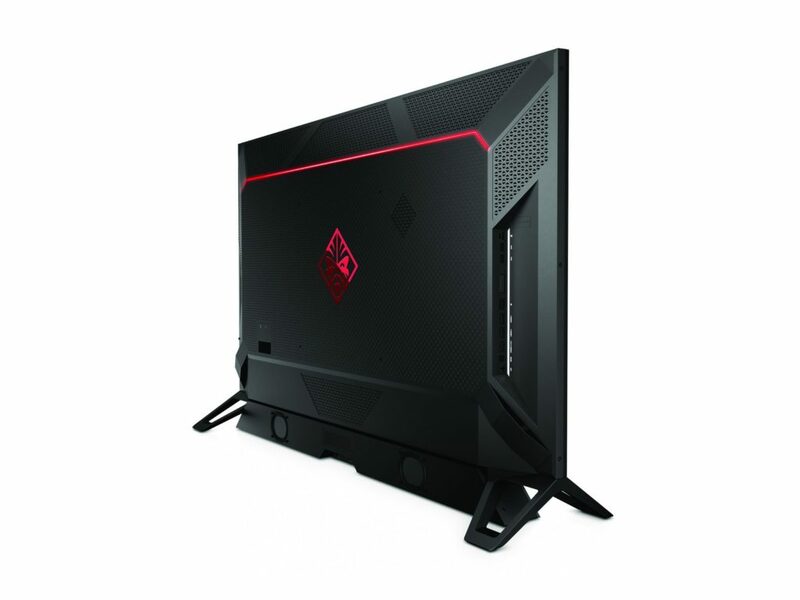 The HP Omen X Emperium is an excellent development in the PC gaming monitor segment because of its TV-eliminating capabilities. The massive, 4K screen is a sight to behold, plus the sound package is something we wish was considered more in the high-end monitor market. The display works beatifully right out of the box, posting near perfect scores which most struggle to reach. There’s is very little reason to skip the HP Omen X Emperium due to its excellent performance. It can effectively replace your living room TV and gaming monitor, but you need to fork over five grand for it. If you have the budget for this amazing beast, we recommend buying it for your gaming room immediately.